KATHMANDU, June 21: Prime Minister KP Sharma Oli has condemned the Taliban suicide bomb attack that killed as many as 12 Nepalis in Kabul, the capital city of Afghanistan, on Monday morning. “I have been stunned by the Kabul suicide bombing in which Nepali migrant workers were killed,” PM Oli tweeted on Monday afternoon expressing condolence to the families of the victims and wishing speedy recovery of those injured. 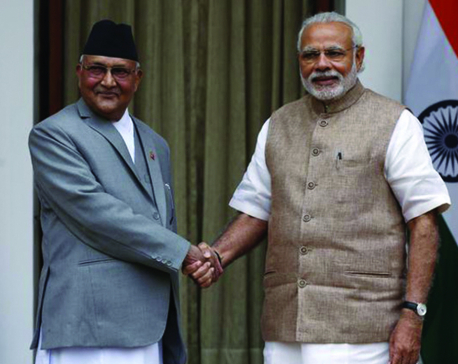 PM Oli, issuing a press release in the evening, informed that he has already directed the Ministry of Foreign Affairs and the embassy concerned to collect all the details of the incident, initiate the process to bring the dead bodies home, ensure treatment for the injured and make all the necessary arrangements. "The attack on innocent migrant workers is a heinous crime. I condemned the incident. 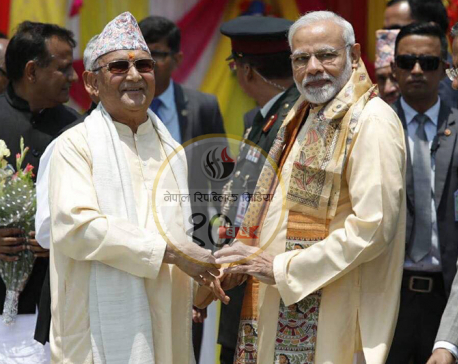 Government of Nepal and I personally hope that the criminal elements behind the attack will be booked soon," stated the press release issued by PM Oli. "Nepal expresses its strong commitments to support the attempts of international communities to fight against terrorism in all forms," he furthered. Likewise, Nepali Congress (NC) has condemned the ruthless suicide bomb attack. "Nepali Congress condemns the terrorist attack targeted against humanity and urges all to unite in this painful moment," said NC President Sher Bahadur Deuba in a press statement. "I also urge the Government of Nepal to start diplomatic initiatives to bring the bodies to Nepal, ensure treatment for those injured and provide reparations to the families of the victims," Deuba said. NC general secretary Dr Shashank Koirala, issuing a separate press release, condemned the attack and urged the Government of Nepal to seek the details of the Nepali nationals killed in the attack. "Nepali Congress strongly condemns terrorism in all forms and manifestations. Terrorism is a growing threat to civilized way of life. We call for a collective fight to overcome the scourge of terrorism, whenever, wherever and in whatever forms it may occur," said Koirala. CPN (Maoist) spokesperson Pampha Bhusal issuing a press statement condemned the terrorist attack and expressed condolences to the victim families. The party has urged the government of Nepal to take initiatives for the safety of other Nepali living in Kabul. Meanwhile, Indian Prime Minister Narendra Modi expressed deep condolences to people and governments of Afghanistan and Nepal on the loss of innocent lives. "We strongly condemn the horrible tragedy in Kabul. Our deep condolences to people and governments of Afghanistan and Nepal on loss of innocent lives," tweeted Modi. "We are taking steps to provide all relevant assistance to the Nepal government in this hour of tragedy," he wrote in his next tweet. Meanwhile, the National Human Rights Commission has urged the government to take diplomatic initiatives for safety of Nepali migrant workers all over the world. The NHRC has also urged the government to systematize the permitting procedure for migrant workers, especially to those going to the countries full of security risks. The NHRC has also informed that it has requested Afghanistan Independent Human Rights Commission to provide details of the victims. "We have requested the Afghanistan Independent Human Rights Commission to provide details of the Nepali migrant workers killed in the incident, to support in bringing the bodies to families in Nepal, to support in providing reparations and relief to the families of the dead and injured as well as to lobby for protection of human rights of Nepali citizens living in Afghanistan," stated the commission.